Ex-Trump Aide Releases Recording Of $15,000 Job Offer To "Buy Silence"
The disgruntled former Trump champion gave a recording to NBC, featuring Lara Trump -- wife of the president's son Eric -- saying the offer of a $15,000 a month job after the White House would come with strings attached. 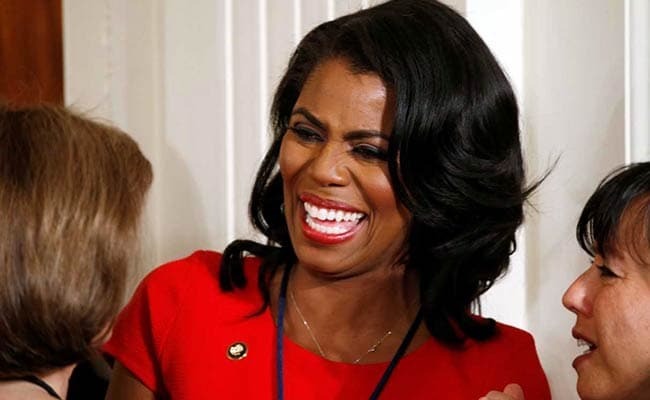 Former "Apprentice" and White House aide Omarosa Manigault Newman released an audio recording Thursday which appeared to show President Donald Trump's daughter-in-law trying to buy her silence. "It sounds a little like, obviously, that there are some things you've got in the back pocket to pull out," Lara Trump is heard saying, as she details how the post would be paid for by the Trump campaign's "small dollar donors." "Clearly, if you come on board the campaign, like we can't have it, we got to... everything, everybody positive, right?" In a statement Lara Trump did not deny the accusations, but said she felt betrayed by a former colleague whom she considered a sister. "Woman to woman, I shared a connection with Omarosa as a friend and a campaign sister, and I am absolutely shocked and saddened by her betrayal and violation on a deeply personal level," she said in a statement. "I hope it's all worth it for you, Omarosa, because some things you just can't put a price on." Amid Shutdown, Trump Daughter-In-Law Calls Missed Paychecks "Sacrifices"